I didn't like the book because it's full of rage. So much so, that it becomes a caricature - and that for me is a dangerous twist in a subject that cannot afford twists. The first sentence that I read when I downloaded the sample was "Why they hate us". Who hates whom? The status-quo? Arab men? Men in general? This is such an over-simplification of the situation that women find themselves in several parts of the world that it nearly misses the point. It's not hate (which is a strong emotion), I would actually argue, it's the disregard (absence of any feeling) towards women that is at the core of their malaise. 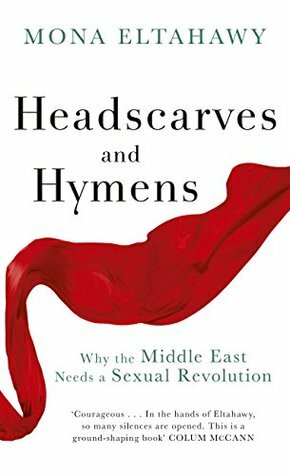 I kept on reading the book, trying to find any new information on the subject as well as arguments on why there is need for a sexual revolution. I found neither. The stories told are well known ones, which I have either read, heard or am aware of. But worse, I found no arguments - what is the purpose of this book? why was it written? Eltahawy tells stories that have happened either to her personally or to people she has interviewed (little pet-hate, the self-promotion is way too evident throughout the book). After each story, there is a rant from her on why this situation is still happening and why no one has done anything about it - I can't remember how many times I had to read about "misogyny" and "the toxic mix of culture and religion". And then, we move on to the next story. There was no completion and I felt in a way cheated out of an argument. I also noticed how condescending the author is towards men. In the quest towards equal rights, this is an easy way out - all men are enemies. This is not the case, and it is excellently described in several of Arab women's blogs. These I discovered when I grew impatient with the book - I wanted to see whether there is anyone talking about the subject in a serious, calm manner. And I did find some - I even found women bloggers in Saudi Arabia, the author's most hateful country. And there, I found several posts written by men, in support of women's rights. I also read about these men's clashes with the status quo, their imprisonments, their tortures and their deaths. Let us be clear: equal rights means women and men together, it does not (and should not) mean eradication of the male population. This is not to say that the issue of women's discrimination does not exist or that it not serious - not only in the Middle East, but almost everywhere in the world. But rants and screams will not help anyone - on the contrary, I would argue that it confirms the viewpoint that women are by nature mad and wild and extreme, and that is way they need to be controlled. No - we need to tackle this issue with the utmost seriousness and above all with calmness and arguments. It is the arguments that will convince the parents and grandparents to step up and support their children and grandchildren, the arguments that will showcase the absurdity of the practices that disgrace women, the arguments that will grow the dissent and help establish equal rights for girls of all generations. The only positive aspect of this book that I will retain, is that by speaking about it (even for wrong reasons), we keep the discussion of the subject alive. And this is a good thing. Ugh, I'm sad it didn't live up to the name. I saved the review to come back and read the whole thing because it had such a great title. I think that's one of the hardest problems I've faced recently with social justice fiction and social justice conversations: it's all talk and no action. Where are the directives and the action points? Where are the how-tos! ?